These easy summaries can be used with an ancient civilizations unit. They are designed for English Language Learners and low readers. 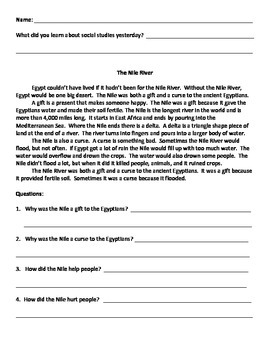 This series includes five summaries: Egypt's religion, Sphinx, economy, hieroglyphics, and the Nile River.